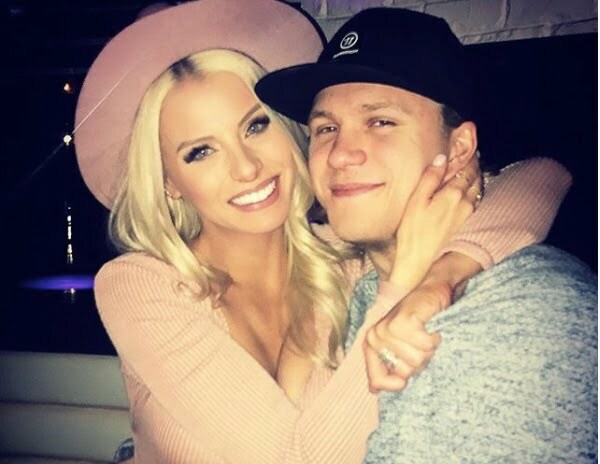 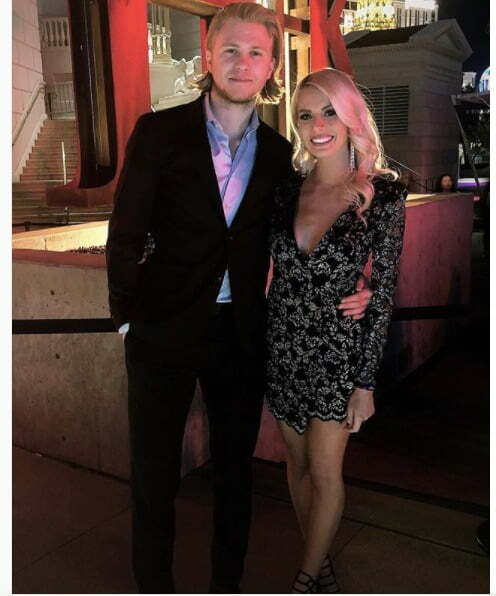 Meet Emily Ferguson; she is the pretty girlfriend of NHL player William Karlsson, the Swedish center for the Las Vegas Golden Knights. 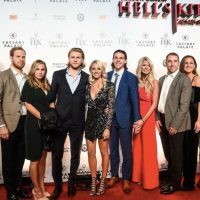 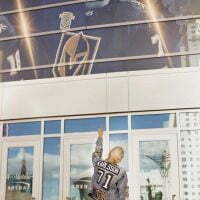 While she is sort of a new NHL Wag, she is no stranger to showbiz whatsoever, after all, Emily and identical twin sister Haley competed on season 20th of the Bachelor. 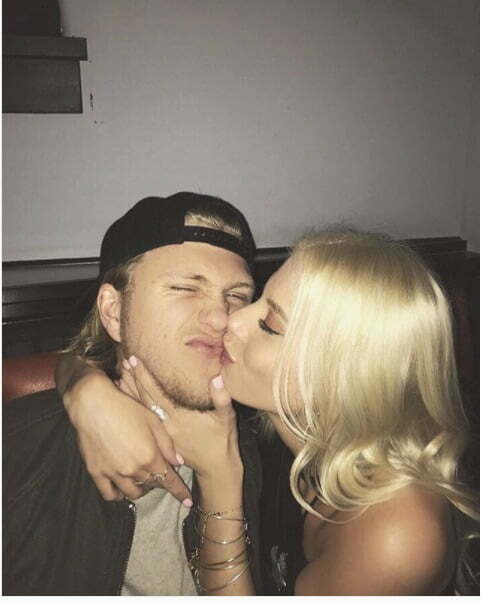 She later appeared on Bachelor in Paradise and in the t.v series The twins: Happily Ever After? 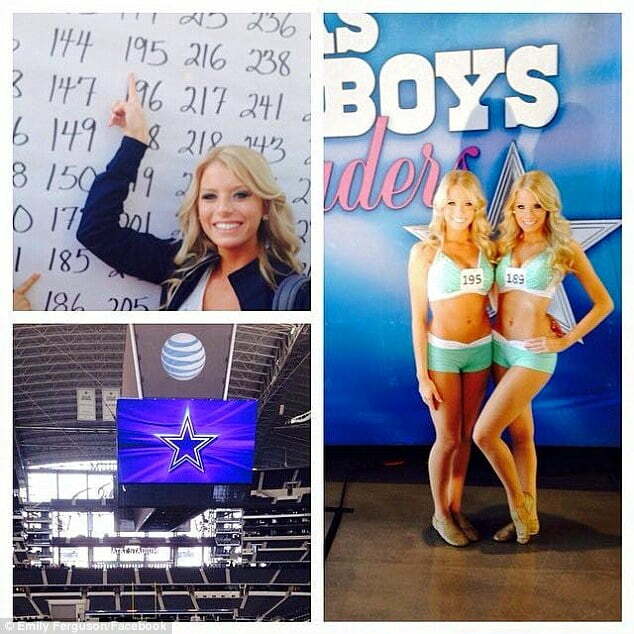 Pretty Emily was born on October 10, 1992, in Nevada, to Jill and Scott Ferguson. 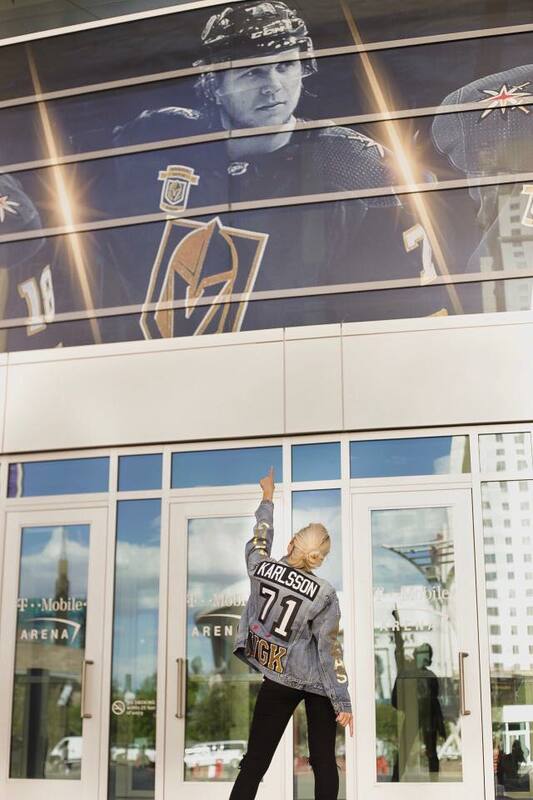 She graduated in 2011 from Silverado High School in Henderson. 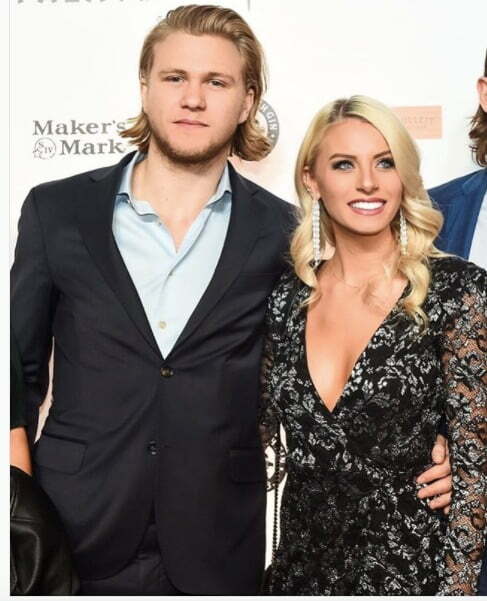 Three years later they auditioned to be a Laker Girl and subsequently appeared on the first episode of the Dallas Cowboy Cheerleader reality show. 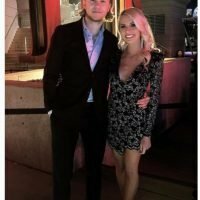 She also worked as a cocktail waitress at the Marquee in Las Vegas from, 2014 to 2016. 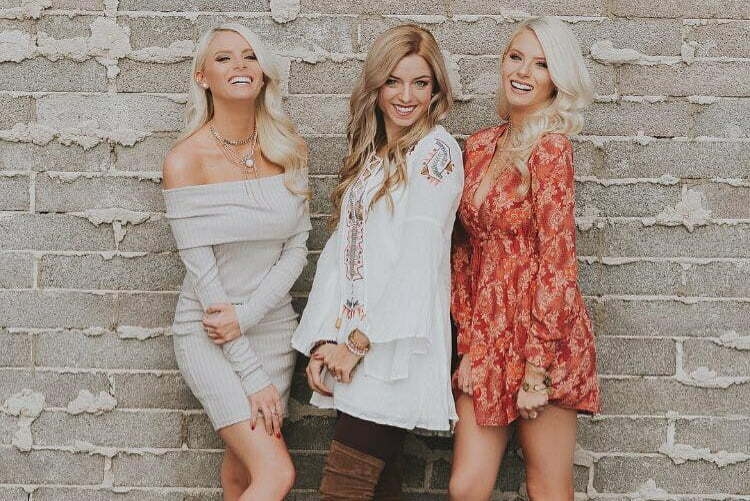 Older by 20 minutes, Emily, Haley and longtime friend Mace Camp, shared their beauty tips, life experiences and so much more on their blog Blondesense. 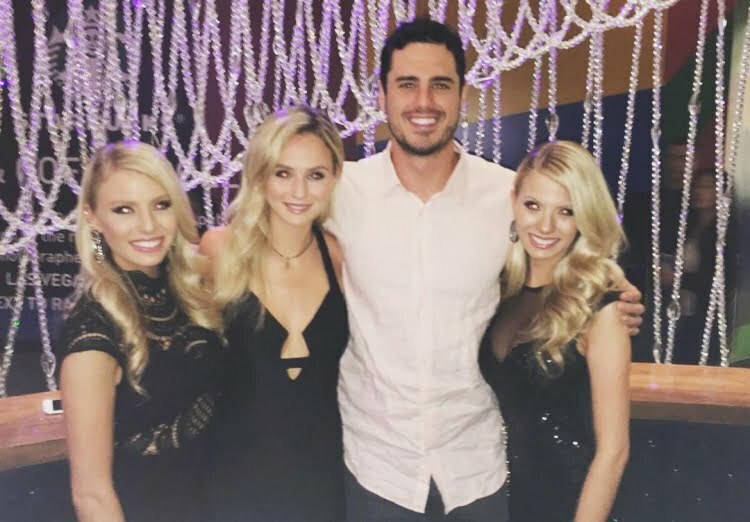 Emily and her sister competed on The Bachelor featuring Ben Higgins, who eliminated her in week 7; while her sister went home in week 4. 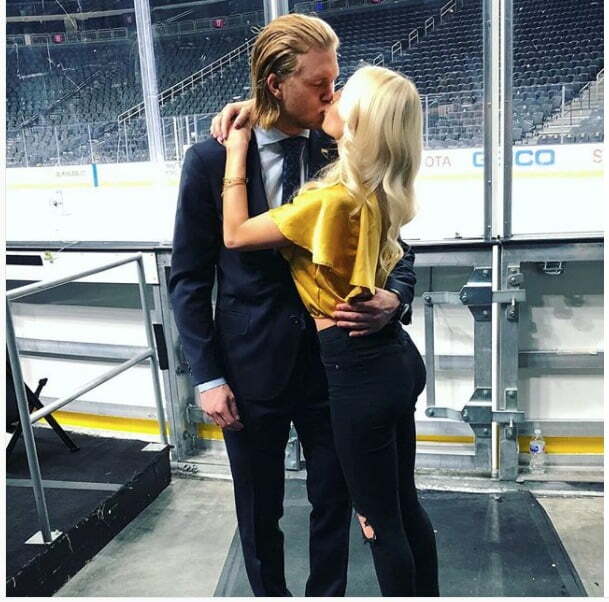 We can be wrong here, but we believe Emily started dating William Karlsson in December 2017.